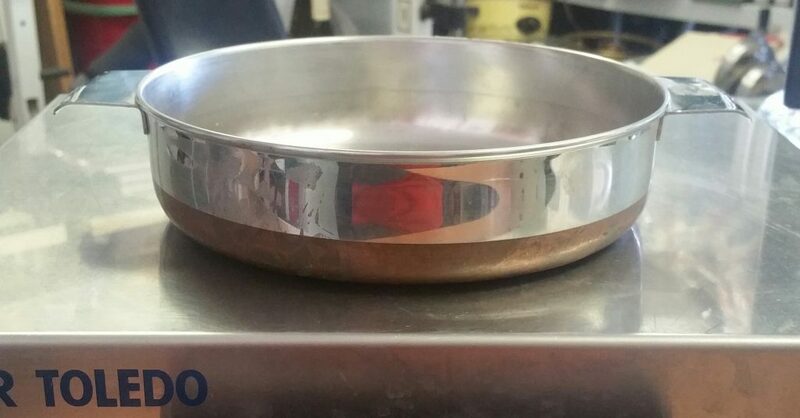 Customer Tony is curious about his unusual vintage Revere Ware pan. It has the process patent stamp on the bottom so we know it is from before 1968. Given the two handles, it appears to be some kind of casserole pan. The holes seems to show that there might have been Bakelite handles on it. We looked through all of our vintage catalogs, prices lists, brochures, and ads and haven’t seen anything that looks exactly like that. 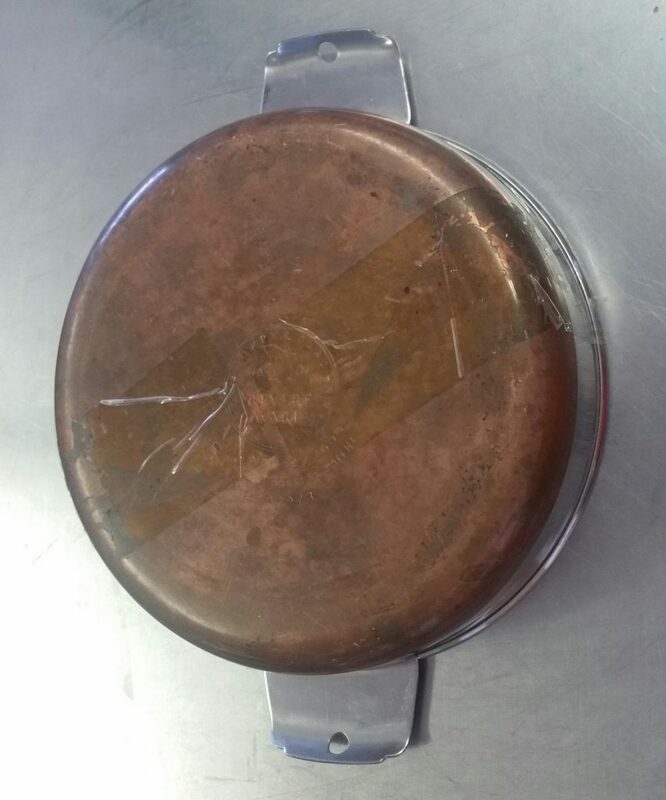 Revere did make casserold pans with copper bottoms, but they did not have Bakelite handles and had sloped sides. Has anyone ever seen these in original form, with Bakelite handles?